DESCRIPTION: The John F. Callender website was designed and developed by PTC Computer solutions. 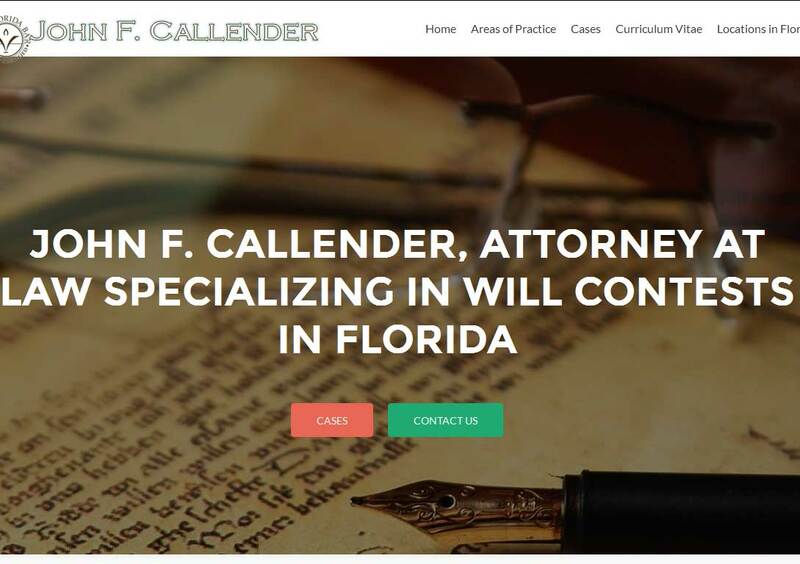 John F. Callender, Attorney at Law, is a specialist in Will Contests in Florida. They have years of experience with hundreds of clients. You can find out more by going directly to their personal website, www.johnfcallender.us, or contact them at info@johnfcallender.us or in Jacksonville – 904-389-6101 and in Sarasota – 941-951-7500. Thanks for letting us know about John F. Callender, Attorney at Law. We will definitely utilize his legal services in Jacksonville, Florida and Sarasota, Florida should the need arise to handle Will Contests, Guardianships, Trusts, or Estates. Thanks to PTC Computer Solutions for building the best website.